I love tenderloin, not only for it’s comforting embrace, but also it’s portability. Tenderloin can be sliced into these amazing round medallions that are easy to pluck out of the fridge and eat at random or pack for a picnic or work potluck. The medallions are equally delicious hot or cold. This is the easiest recipe possibly ever, you have no excuses not to try it! Also, this meat has hardly any fat if you worry about that sort of thing. 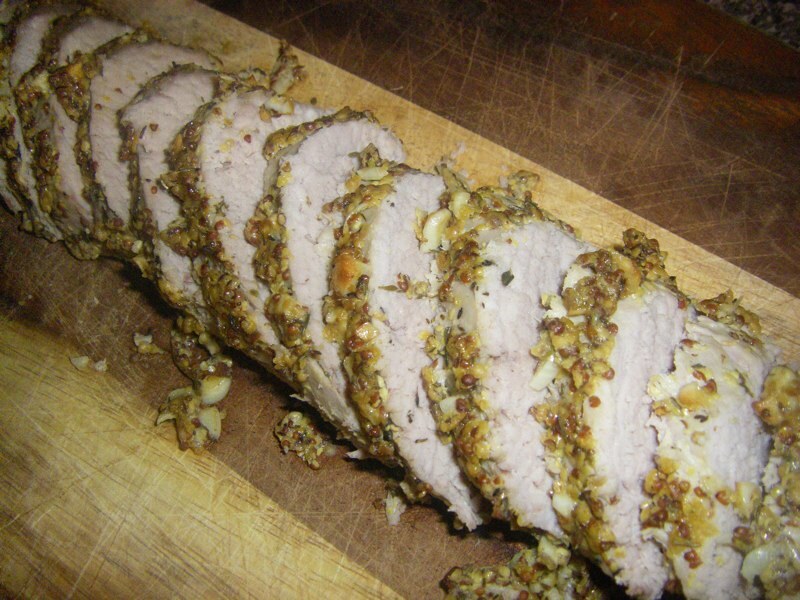 Pork tenderloin – note this can be an expensive cut of meat, I only buy this meat when it is on sale (generally $2.99/lb or $6.59/kg) and I still haven’t ever been able to afford beef tenderloin which often sells above $40/kg! Tenderloin often comes in twos when it goes on sale. 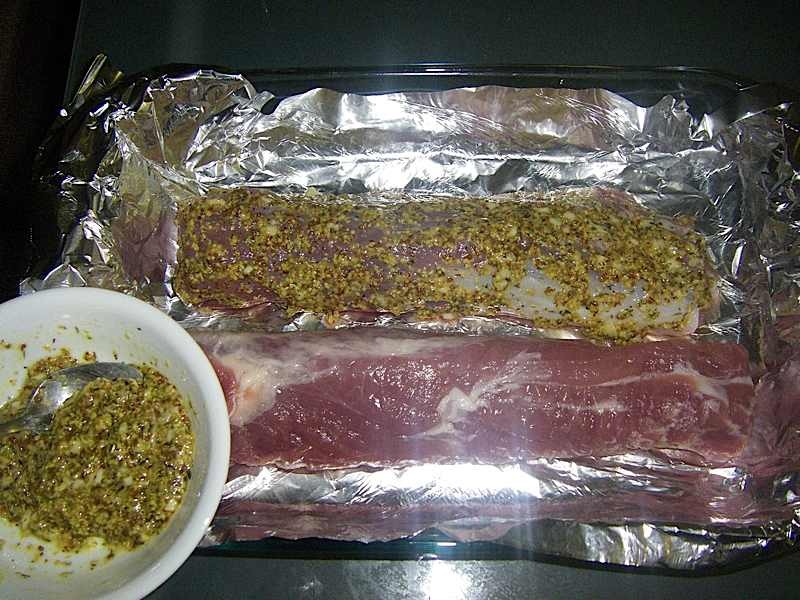 Lay them on foil in a baking pan. You may notice one end will be much thinner than the other. If this is the case, curl the thinner end under in the pan as I did with the left side of the top tenderloin below so that the thick and thin ends are the same size can cook evenly. 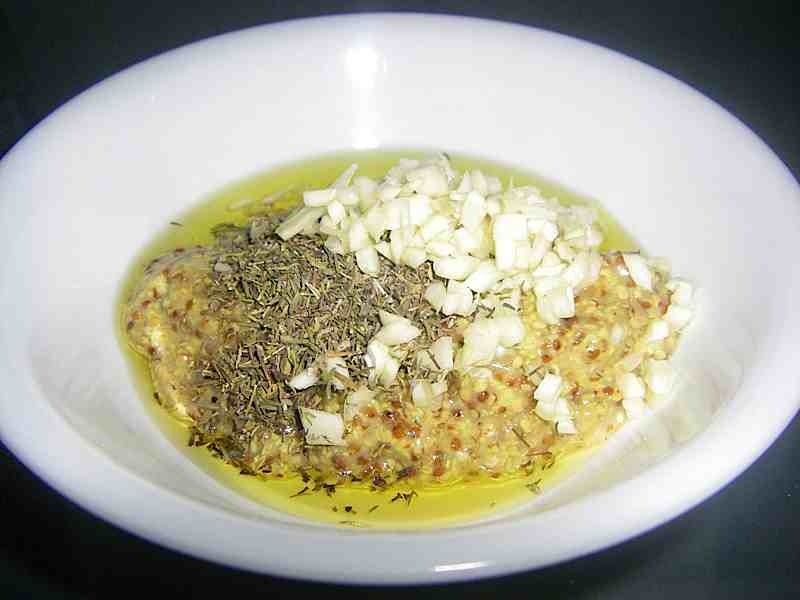 For the coating, mix the dijon mustard, olive oil, thyme and garlic. 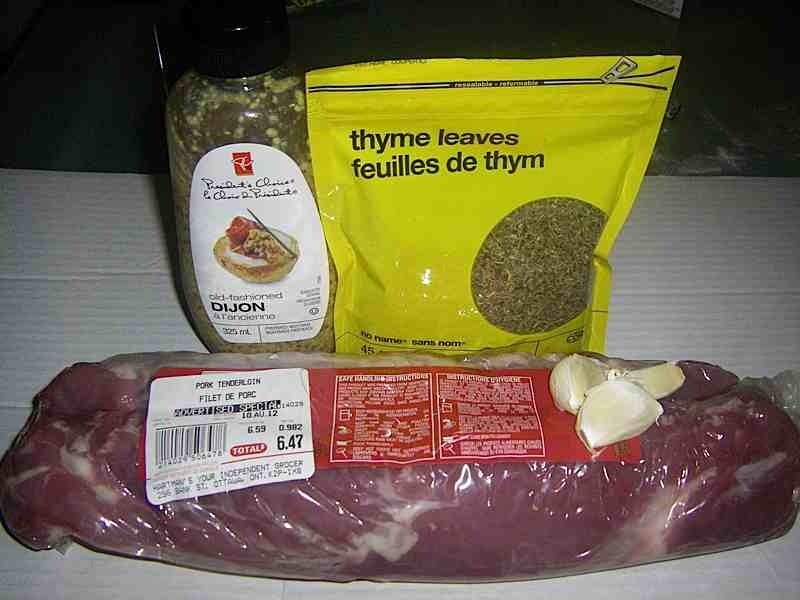 Coat the entire tenderloin with the dijon-thyme mixture. 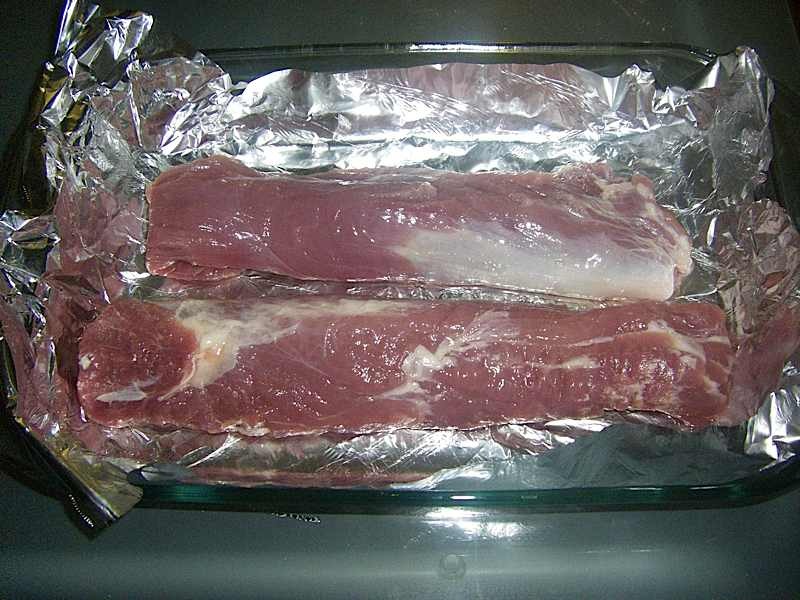 Bake at 375 degrees for about 45 minutes, maybe longer if your tenderloin is thick. Let sit for about 10 minutes before slicing into medallions. Here’s a bunch all packed up and ready for adventure! I brought mine on a road trip to the next province. 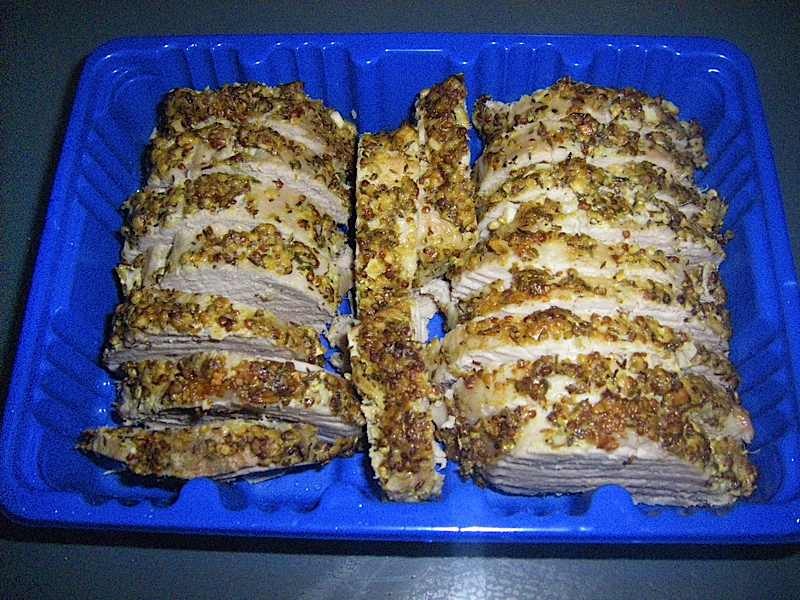 What sort of adventure did you take your tenderloin on? Jump up.